What’s more American than apple pie? A two ingredient apple pie! 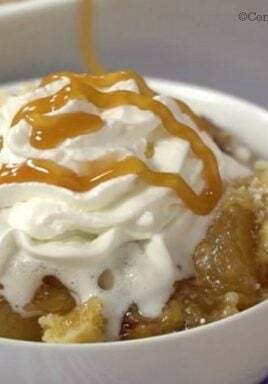 These Two Ingredient Apple Pie Cups transform just two, yes two, store-bought items into something share-worthy and sinfully scrumptious. They’re bite-sized pastry perfection, and thankfully the jury’s still out on exactly how many you can eat to equate roughly to an actual piece of pie. Technically apple pies aren’t American. The first recipes date back to England in the 1300s, though the U.S. is currently the world’s second largest producer of the fruit with over 2,500 varieties of apples. 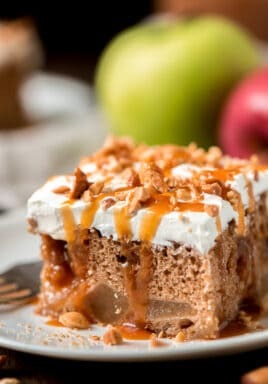 There’s little doubt we took the recipe and ran with it, though, like we do with most of the ones we get our hands on, and I’m confident our English ancestors had no idea we’d be able to produce such an amazing apple dessert with a trip through the express lane at the grocery store! 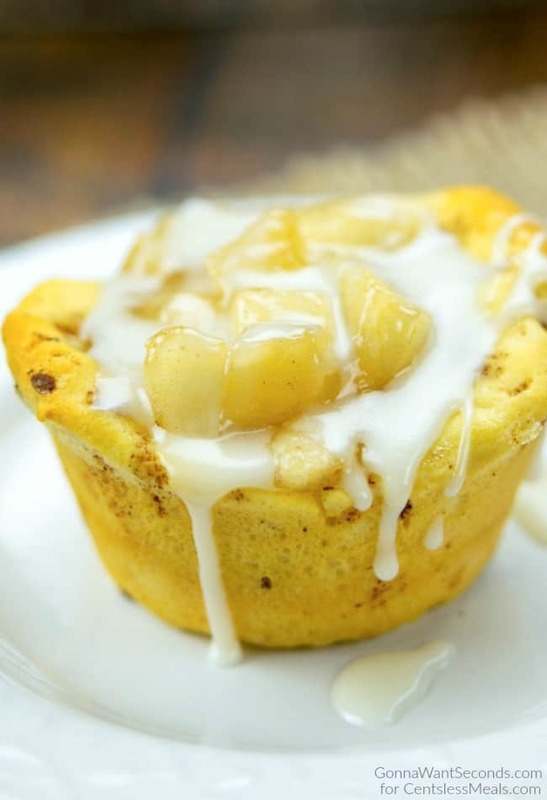 The “apple” in these Apple Pie Cups comes from apple pie filling – tender pieces of apple perfectly sweetened and seasoned with cinnamon. The crust, an unexpected sweet surprise, is made from canned cinnamon rolls. They’re the perfect size for squishing into a muffin tin, plus they’re a lovely doughy, flaky receptacle for marrying the pie filling. You’ll want to grease your muffin tins to make sure not even a little crumb of the cinnamon-infused crust gets left behind. The topping’s important, even if you just opt for ice cream, but you can also use the frosting that comes along with the cinnamon rolls. If you’re feeling ambitious, you can make your favorite streusel topping for sprinkling on before baking. 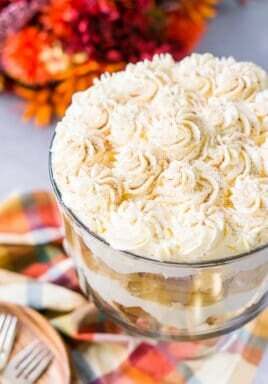 Otherwise, there are tons of other store-bought options to make this a super easy dessert for entertaining with (or indulging in). If you’re a fan of “cheesing” up your apple pie, you can sprinkle a little cheddar on to melt in the last few minutes of baking. 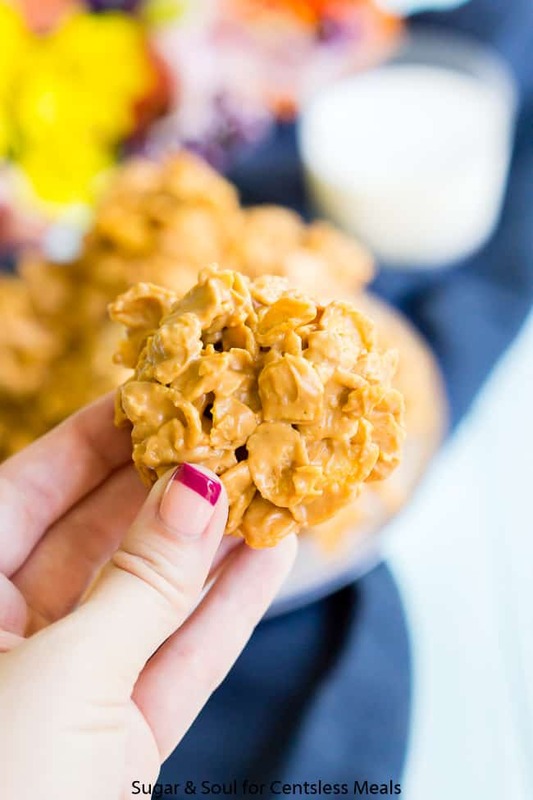 You can also skip the cinnamon roll icing and use a store-bought caramel topping or that yummy cream-cheese fruit dip you can find in the produce section. 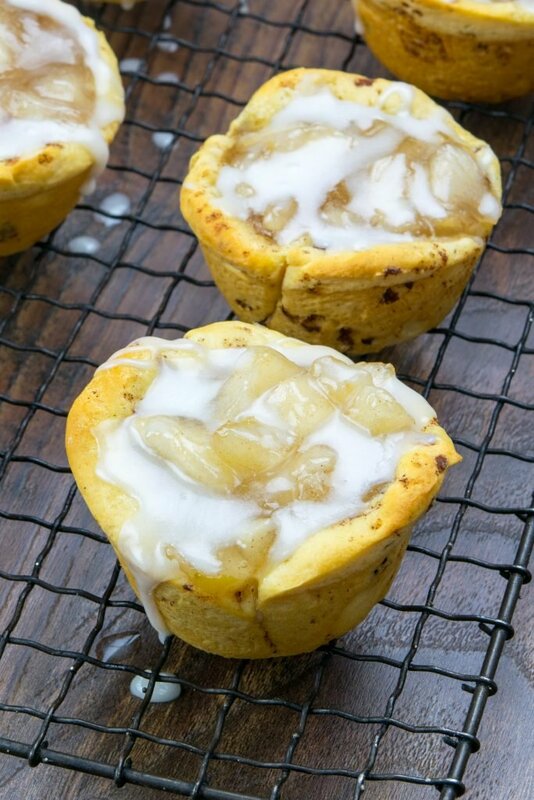 Tender handheld apple pie cups in minutes with just two ingredients! Open cinnamon roll container. Set aside icing. Separate dough into individual rolls and flatten out into disks. Press into the bottom and up the sides of muffin cups in prepared pan. Add 2 tablespoons of filling into each cup. Bake in preheated oven for 14 to 18 minutes or until crust is golden brown and filling is bubbly. Set muffin tin on baking rack and cool in pan for 5 minutes. Remove to serving plate. Microwave icing in a safe bowl, uncovered, just until heated enough to pour in a thin stream, about 8-10 seconds. 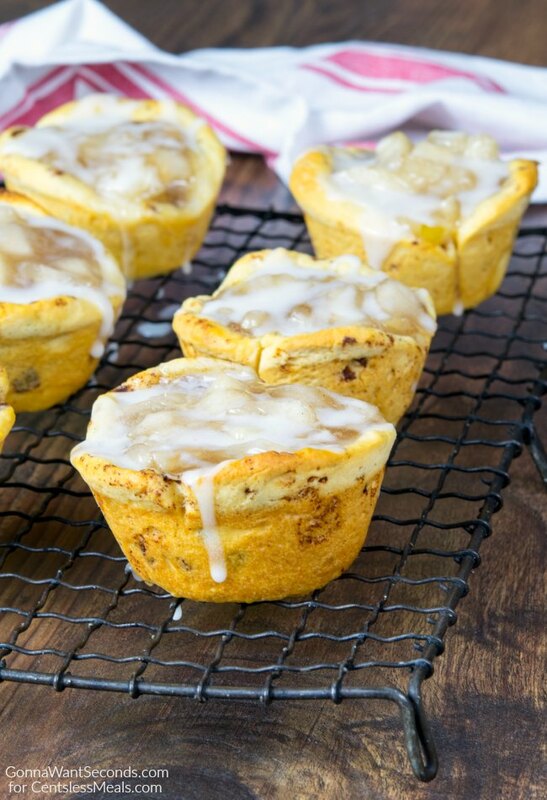 Use a spoon and drizzle over each apple pie cup. These Apple Pie Cups are perfect party fare, a fabulous finger food that will be a hit at your next gathering. No one will believe how easy these are to put together, and you’re secret’s safe with me! 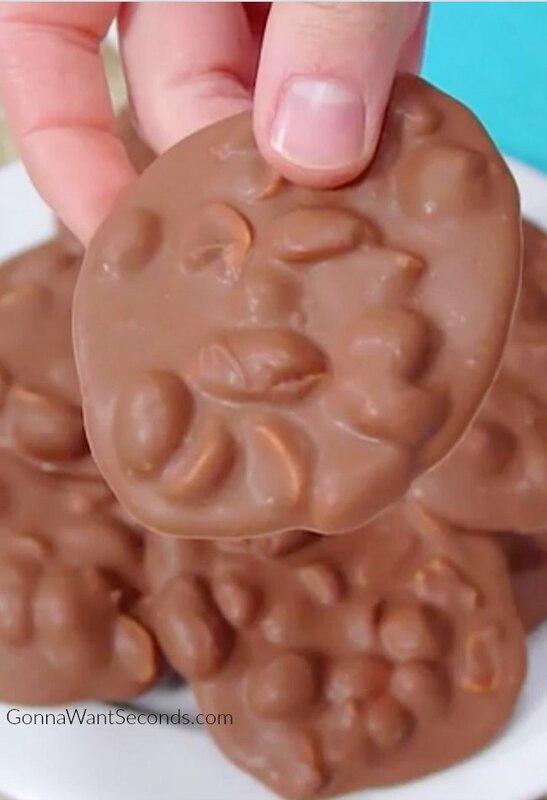 This Delicious candy is easy to made at home and so much better than anything store bought! 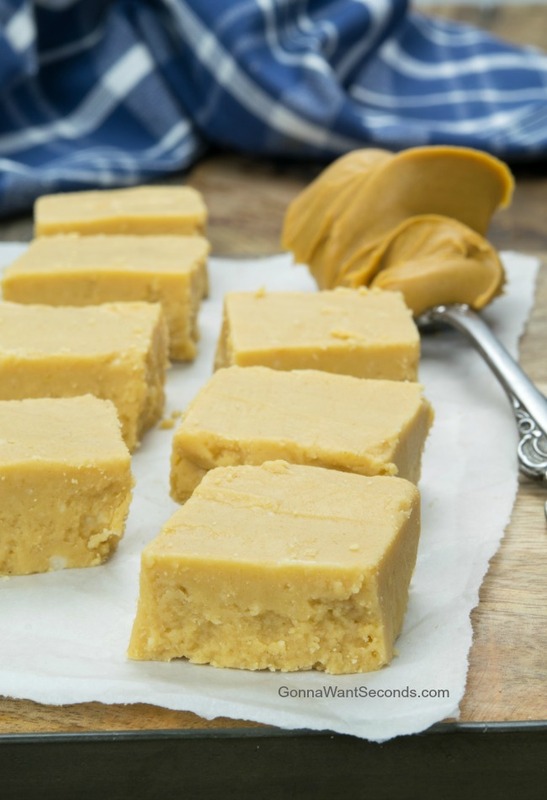 This Peanut Butter Fudge delivers old fashion taste and texture and is easily made in the Microwave!